A much-anticipated part of the Epcot International Festival of the Holidays is the Candlelight Processional. This gorgeous show is one of the most beloved events taking place at Walt Disney World, in fact, many guests plan their entire holiday vacations around it. This year’s event begins earlier than ever; on Thanksgiving Day, November 22. 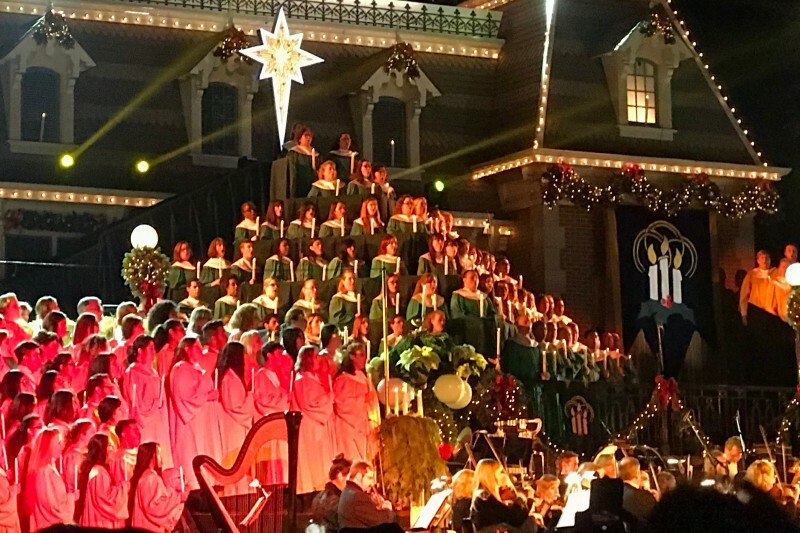 The Candlelight Processional presents the traditional story of Christmas in truly spectacular fashion – with a 50-piece orchestra, a massed choir, and a celebrity narrator. The processional is performed three times each night (5:00, 6:45 and 8:15 p.m.) throughout the holiday season at the America Gardens Theatre. Also available, on select days and evenings, Candlelight Processional Dining Packages which include a delicious meal along with guaranteed seating for one of that evening’s Candlelight Processional performances. Availability is limited and reservations are required. Candlelight Processional Dining Packages go on sale Wednesday, July 11 and will be able to be booked either online or by calling (407) WDW-DINE. Returning favorite celebrity narrators include actress/host Whoopi Goldberg; entertainer Pat Sajak; actors Neil Patrick Harris, Chita Rivera, Gary Sinise, Blair Underwood and Edward James Olmos; and Jodi Benson, who voices Ariel in Disney’s animated classic The Little Mermaid. Breakfast, lunch, and dinner options are also available this year at Epcot-area resort restaurants at Ale & Compass at Disney’s Yacht Club Resort, with breakfast and dinner options being offered at Trattoria Al Forno at Disney’s BoardWalk.